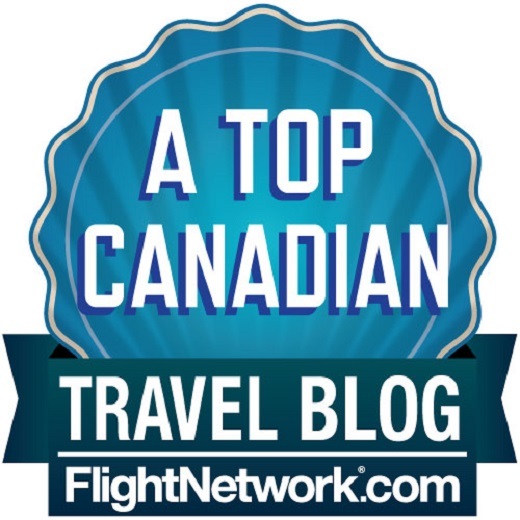 So I just finish writing an article about how eating at the BC Legislature made me feel important and almost an hour later my mailbox starts filling up with people congratulating me on making the list of the Top 100 Canadian Travel Blogs. Wow...now I really feel important, or at least I did until my kids asked me how on earth I managed to end up on such a list. Nothing like a little family support to keep a man grounded. Despite my children's disbelief at my inclusion, I'm really honored to make the list and I'd like to take a second to thank whoever nominated me, all those who voted for me, and the Flight Network for putting the list together in the first place. Looking through, the list is populated with some fantastic travel blogs, some great blogging friends of mine, and plenty of people whose work I've admired for a long time. In fact, the more time I spend looking at the quality of some of the people included in this list, the more I start to share my kids wonder at me being included. Maybe I have a relative at Flight Network? Can somebody explain to me why all three of my kids need to stream the same video on their own computers instead of just watching it on one? We may be the only family out there that looks at the hated "resort fee" of $25 a day and thinks, "It includes internet? Yeah that sounds about right." We'd also easily qualify for the Top 100 Bloggers who take signs sarcastically. This is where I have a bit of an advantage over my co-bloggers as I tend to be a little bit older than most of them and thus less durable. Combine that with my son's love for extreme theme park rides and my desire to still seem somewhat "cool" to him and it's pretty much a given that I'll be on this list for quite a while. Top 100 Bloggers Likely to be Asked to "Move Along"
We were taking some pictures on the steps of the parliament buildings in Victoria when my daughters decided to bust out this pose. Seconds later a security guard told us that he needed us to move along as he needed to clear that area out. Coincidence? Maybe, but I'm still saying we make this list. I'm sure what's going on here is that they're just texting each other their thoughts on the amazing Grand Canyon. That's gotta be what they're doing right? Right?